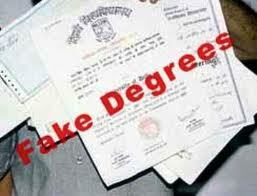 INDORE: A day after TOI reported the blatant breach of norms by an educational institute in the city, it has come to know that those offering fake degrees work in collusion. Dubious education institutes work as partner agencies or franchisee of universities across the country. This correspondent has come across many students who shared their grievances and feared uncertainty after having enrolled themselves to such institutes. It came to the fore that those already employed, but in need of a degree, fell easy prey to such institutions. “I had enrolled myself at Apple Institute of Professional Studies for BTech course. After first semester, I was asked to take transfer to Saraswati Institute of Professional Studies (SIPS). Despite completing two semesters, I did not get a hard copy of mark sheet. Now the institute is asking me to deposit next semester’s fee to get the original mark sheet,” said Hemant Kumar, one of the students who is also a professional. SIPS is a franchisee of a KSOU (Karnataka State Open University).